I am constantly asked at work how do I have the time and energy to train as much as I do. Now granted I am only training 6-9 hours a week right now (nowhere near the most I have done, 12-18 hours/week for Ironman St. George) but it is still more than most of the people I work with do. They also are amazed at how much energy I have even though I may have gotten up early to work out or was on my trainer until 9:30 at night. I keep trying to explain that you will get back 150% of what you put into it. I truly believe that. And for those that say they don’t have the time, I say BS. I do not have any extra hours in my day. I think what makes me different is I make it a priority. I have a full time job. I have two kids of my own plus two kids from my marriage (not all four all the time). All the kids are in school (which is so much harder than I ever could have imagined). But because I have decided that training for races is important to me I make time for working out. I bring my stuff with me to work so I can run/swim on my lunch break. I get up early (not as early as I should) to get in training before work. I get workout after the kids are in bed if I have to. because this is more important to me than a lot of other things. If you want to do this YOU can. 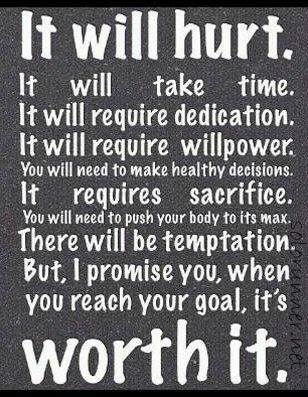 And I promise you it is worth it. ← I am a Trainer Road Ambassador! Thanks for posting that!! I totally agree. If it’s important we make time for it. My thought process (and yours) is that we are just as important as everything else, so we make the time for us!! I am no good to anyone when I do nothing for myself.